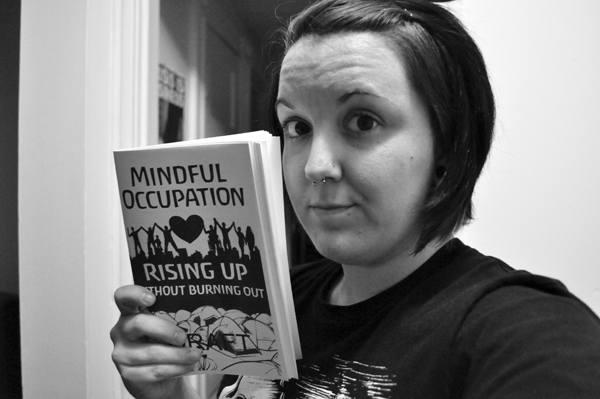 We finally have a draft of “Mindful Occupation: Rising Up Without Burning Out” that we’re going to be printing out for the American Psychiatric Association protest on May 5th in Philadelphia. We’ve been working on this since October….almost there….so excited! Here’s a picture of the first booklet in existence from the RVA Icarus distro! We have included links at the bottom of this post and also on our Downloads page so that you can print off copies of your own. If you would like our distro to print a copy for you, let us know through email at mindfulliberationproject@gmail.com or by calling 804-888-1709. We’d need a few bucks for printing costs and you’d have a copy of your own! There is an urgent need to talk publicly about the relationship between social injustice and our mental health. We need to start redefining what it actually means to be mentally healthy, not just on an individual level, but on collective, communal, and global levels. 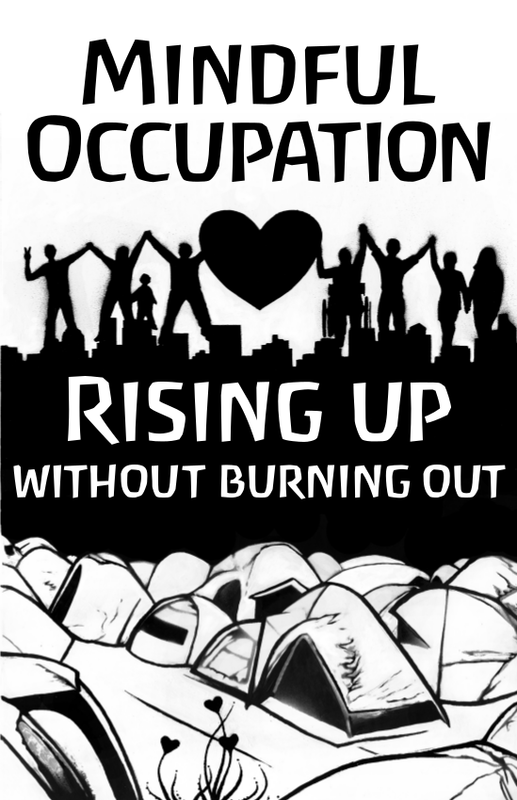 A group of us who have years of experience practicing peer-based community mental health support got together to compile a manual for organizers and participants in the occupy movement. Its aim is to stimulate discussion, raise awareness, provide support, contribute to maintaining a more sustainable movement, and lay the foundation for the next stage of the movement. We’re hoping to distribute this guide far and wide.